(VASHON, WA) – March 21, 2017 – CoffeeTalk Media is proud to announce that it is launching a monthly Webinar education and training series via its JavaU Training Center. Beginning in May 2017, CoffeeTalk will produce four complimentary Webinars each month covering the hottest topics in the specialty coffee industry from its editorial calendar and featured columns in the general areas of Current Trends, Products, Technology and Operations. Webinars will be presented live on a regular schedule allowing specialty coffee professionals to learn and interact via the popular browser based and easy-to-use GotoWebinar™ platform. Webinar events will typically run 45 to 60 minutes. Video presentations will also be archived and available online for those unable to attend the live event. CoffeeTalk Media currently delivers over 200,000 advertising impressions to specialty coffee industry professionals in over 70 countries on a monthly basis. Their current media properties include a print and online magazine, online daily industry headlines and through promotions at dozens of specialty coffee tradeshows each year. 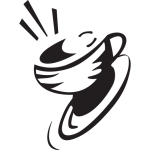 Based in Vashon, WA, CoffeeTalk Media™ and its portfolio of products including CoffeeTalk Magazine™ and JavaU Training Center™ is the leading editorial source for news and developments in the business of coffee. With a staff of dedicated professionals, CoffeeTalk is widely considered the most important and complete independent media provider of information about all aspects of the coffee world – from crop to cup.